Thankful doesn't begin to describe it. This time of the year is (hopefully) spent giving thanks for all that we have, all that we owe to those that came before us in this most marvelous and unique nation of the Earth. I am no exception! I am grateful that I was able to provide some small service to the land my fathers (literally, in my father's case) protected and made sure I enjoyed the same liberties they had. And I came home pretty much unscathed, from war...twice. I have a family that I was able to come home to - a wife and children that make everything worth while. My home is definitely where my heart is. I have a good job providing an important service to those who build, design, invent, create, and distribute all the marvels of modern life in this still prosperous land. My coworkers and supervisors are intelligent and interesting people who are easy to work with. "Thankful" isn't strong enough a term, for me. I will concentrate on the easiest, most modern way to do this - sue them. Let us say you are a small manufacturing firm, one that makes equipment in the lift/hoist area, for sake of this example. You find yourself slapped with a lawsuit (along with many other outfits) alleging that your negligent, wanton, reckless and consipring little firm made up of three families has done gone and caused cancer in someone. 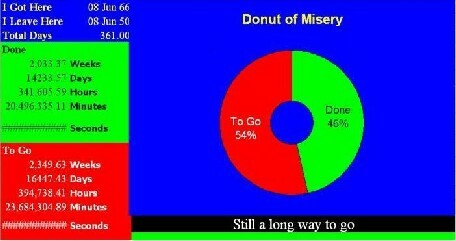 "Good Lord" you say, "what was it we were supposed to have done?" You sold a lift in the 1970s that had a set of brake-type shoes inside the lift that are supposed to have contained asbestos. And you, you dirty merchant of death, knew, KNEW better!!! So what if you were solely in the business of making your lifts and hoists - just try to tell anyone that you bought braking material from someone else. A pair of brake shoes inside a lift someone may have been around decades ago is what you need to pay for, and pay big. Attempted Death of an Enterprise, brought to you by the American Plaintiff Bar - a play in 3 acts witnessed by yours truly. Dad, home on leave, from the Navy in 1945. 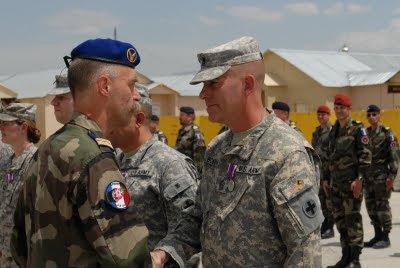 CSM Bones being decorated by the French contingent in Afghanistan, 2009. I rather think I am in good company, yes? 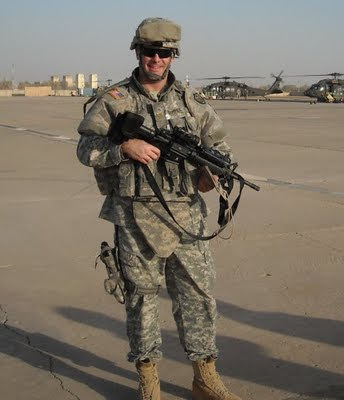 Me, at a FARP in NE Iraq, Fall 2008. There are so many other veterans I have learned from - my old Explorer Post leader, my boss at my very first part time job while in High School, teachers, co-workers. I like to think I have managed to take a little from all of their experiences and now, our common bond. I would hope all of you could do the same with veterans you know. Exactly one year ago today, I stumbled off a plane at the Topeka Airport, got on a bus and was hauled to Fort Riley to start demobilizing. Seems like it wasn't all that long ago. I shall not be renewing my membership with the Post, or the American Legion. Please remove me from the mailing list. Should you care for an explanation, I can give two small recollections that stand out in my mind; The first is from 2004, when my wife delivered my membership renewal in person to the Post (I was in Afghanistan at the time) When my wife explained that she was dropping it off, since I was deployed overseas, she got a total response of “Okay, thanks”. 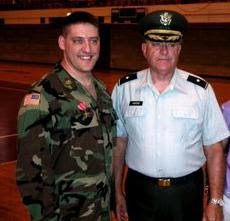 The second was when I emailed the Post in 2007 to mention that I would once again be gone for a year or more (this time deploying to Iraq) – I received a total response of “Okay, good luck”.